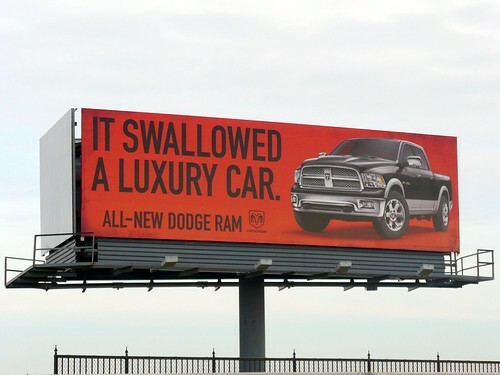 The ad wizards who thought it was a great idea to put small print on a highway billboard came up with another gem. If you come up with your own winning caption I will throw in up to 700 miles for your choice of a magazine subscription. Continuing with the subject of advertising if your child is composing/performing a jingle about the hemorrhoid treatment center, you are within your rights to demand back all the money you’ve spent on the music lessons. (the jingle starts on the 20th second of the clip).